A couple of years ago I made bat costumes for my kids for Halloween. The kids loved them and wanted to wear them all the time, but they were maybe a little costume-y for regular wear. 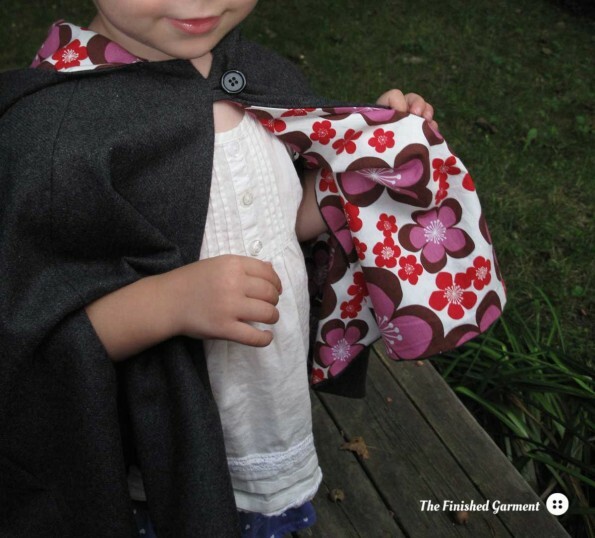 So this year, I used the same pattern, the Red Riding Hood from the book Oliver + S Little Things to Sew , to make capes the kids could wear this fall. 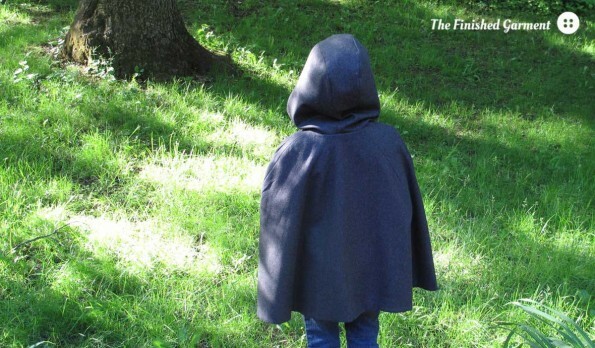 Red Riding cape from the book Little Things to Sew, as sewn by The Finished Garment. The small was lined in a purple and red floral print. 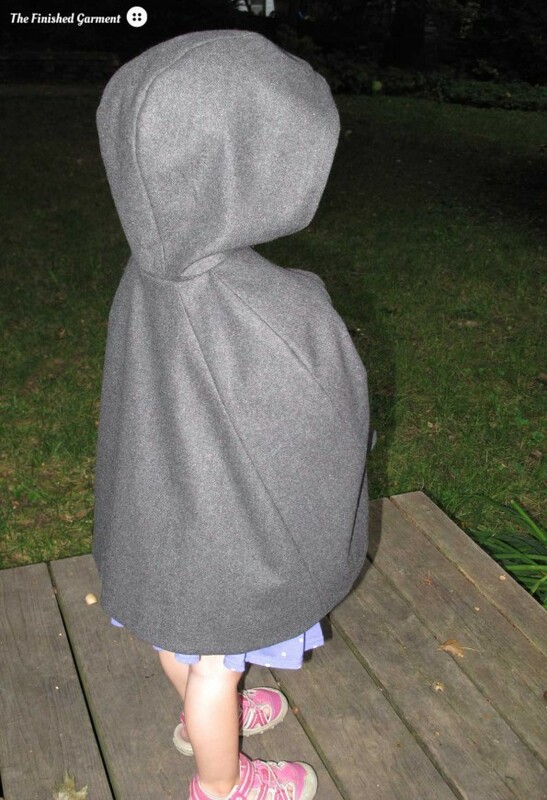 I made the capes in three sizes: small, medium and large. The pattern only comes in medium and large so I had to draft my own small. The medium cape was lined with this fun turquoise print. I didn’t make any changes to the pattern, and even hand finished the arm openings for a nicer finish. The large size was lined with the very last of this pale purple print. I used some wool suiting that I bought out of season ages ago and chose a different quilting cotton to line each one. These were also from my stash. I think my total stash busting for these was about 8 meters (about 9 yards). Even the buttons were lonely singles from my button jar. 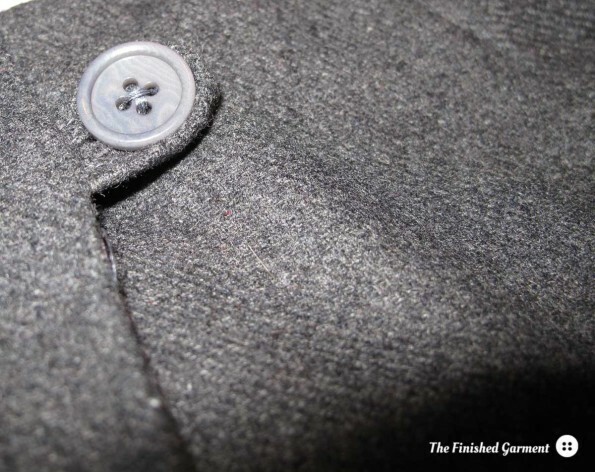 Even the buttons came from my stash. 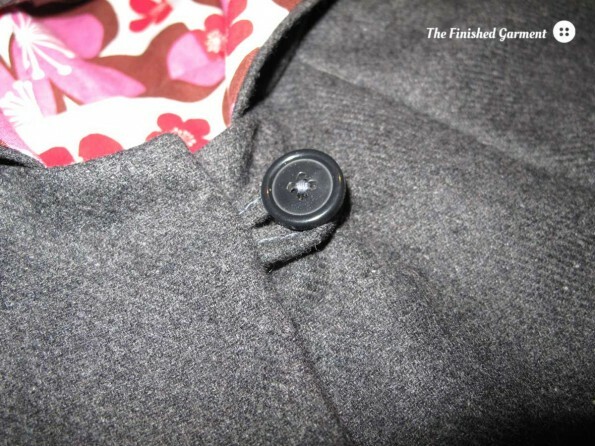 I think this button had no siblings, so a perfect project for it. 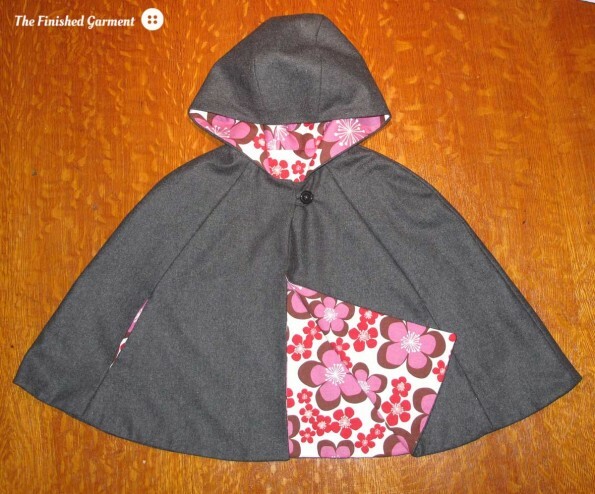 I love the large hoods in this pattern. 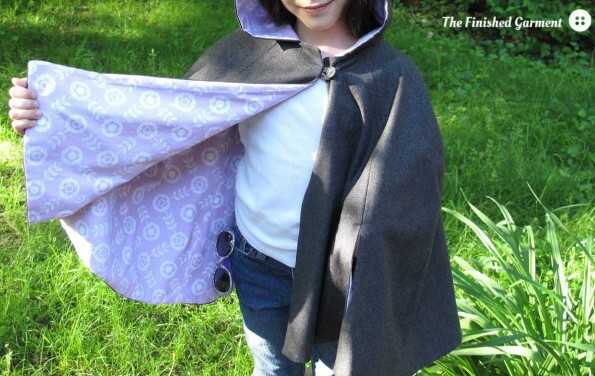 The kids love the capes, especially the big hoods, and they are really well suited for easily fall and late spring. My husband likes them too, though he thinks they look like little assassins from the video game Assassin’s Creed. So maybe they are still a little costume-y after all. 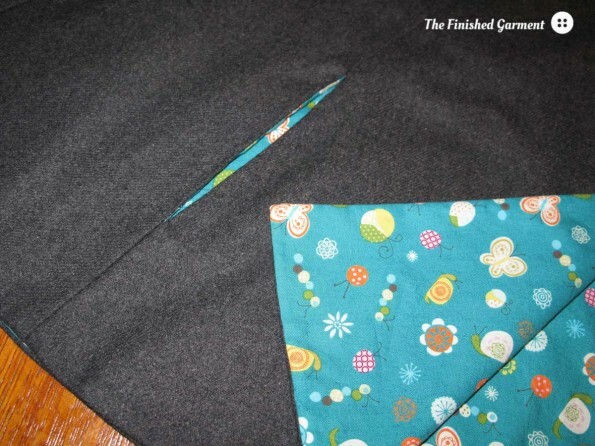 The lining is especially pretty in the hood. This post is part of the Stashbusting Sewalong. 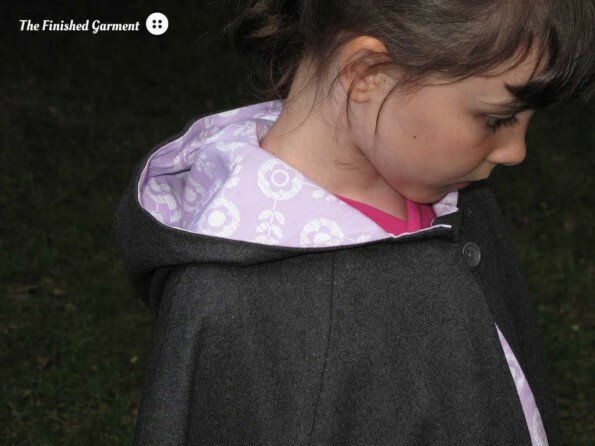 Pattern Review: Red Riding Hood from the book Oliver + S Little Things to Sew . FloraDots in Violet from the La Dee Da collection by Erin McMorries for Free Spirit Fabrics. Happier Bugs in Blue from the Happier collection by Deena Rutter’s for Riley Blake Designs. Pick A Bunch Organic Blooms in Orchid by Nancy Mim’s from Robert Kaufman. Sizes: S, M and L.
Results: Excellent! I’ve made these several times before. I would highly recommend this pattern. The capes are great for cool, but not cold weather. My husband thinks the kids look like junior characters from Assassin’s Creed. Cute! I just started playing the Assassin’s Creed games, and your husband’s comparison makes me want to make one of these for myself even more!